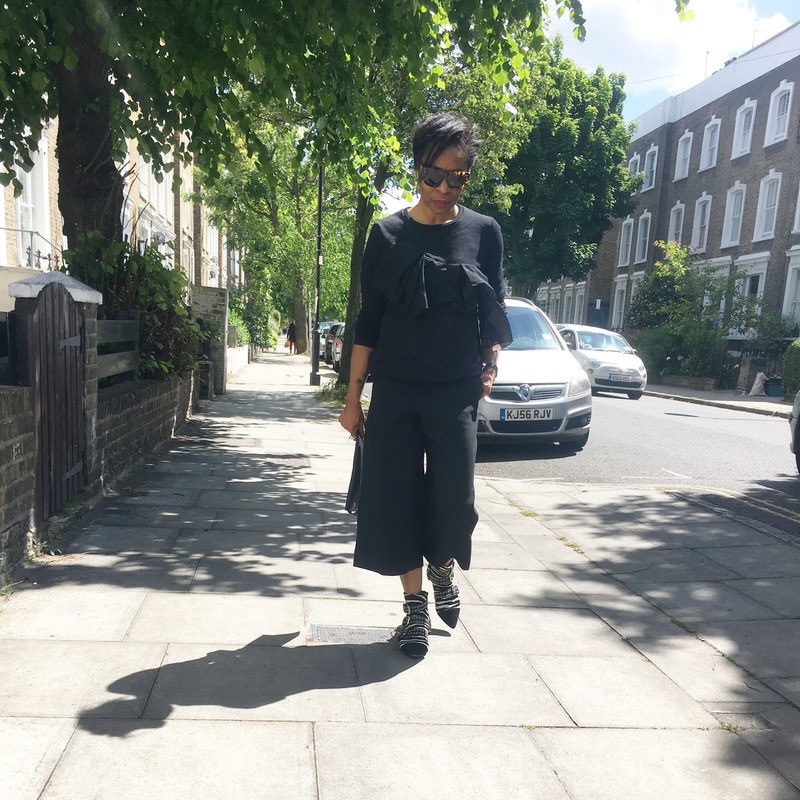 It was a sunny Sunday in London! 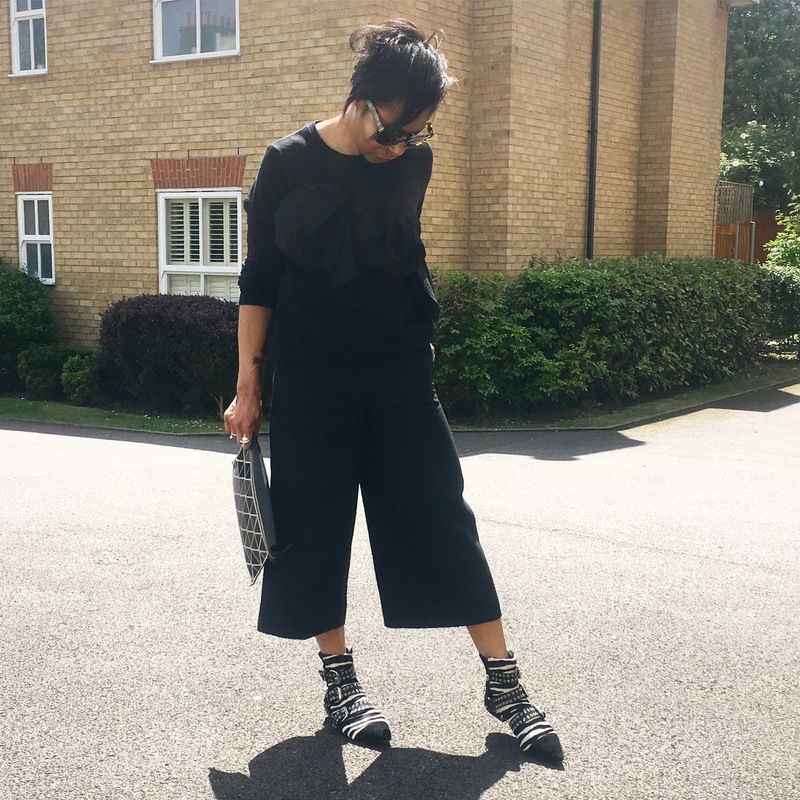 My last post Hi-Lo Pick ‘n’ Mix was all about how I love to mix it up! 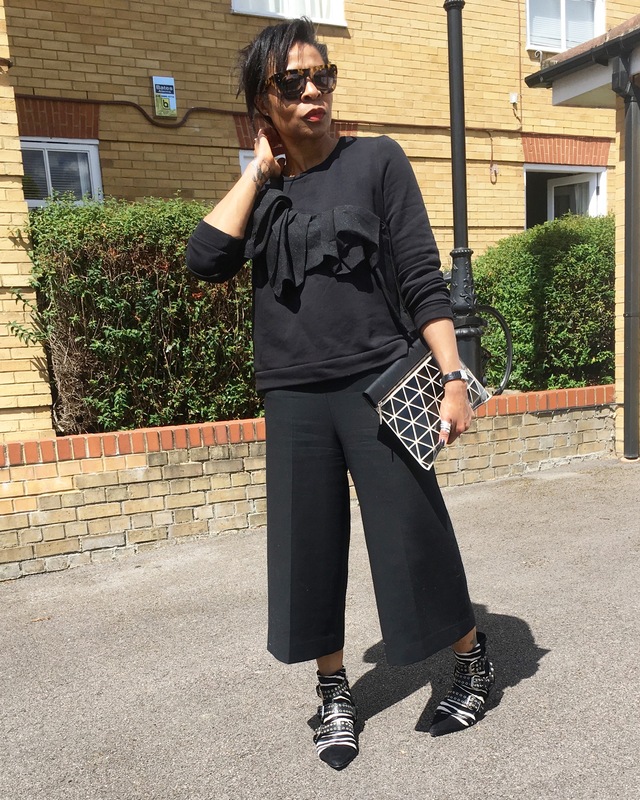 I wore this outfit on Sunday and received so many compliments but no-one would believe that the main ensemble (the sweat shirt and culottes) came from the high street. 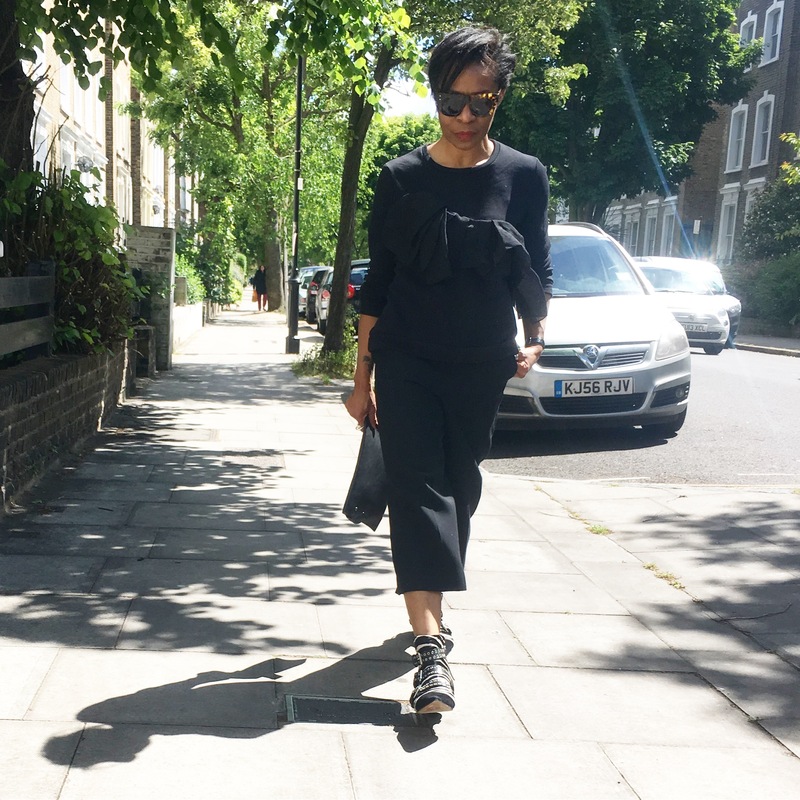 🙂 So, as this perfectly illustrates a few of my tips from the last post: luxing-up a high street outfit with high-end accessories and going understated around a statement designer piece (the boots), I thought it deserved a mini post of its own! 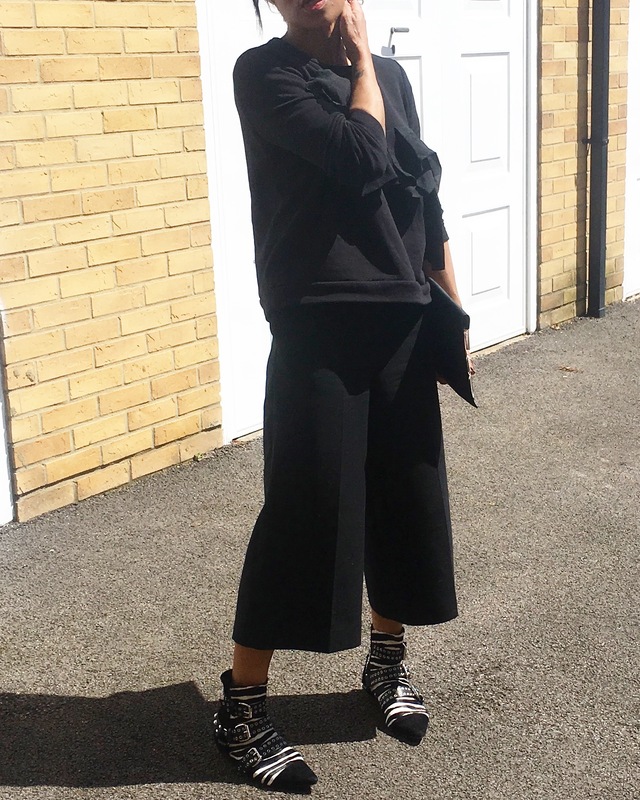 Details: Sweat shirt and culottes – COS; clutch – Victoria Beckham; boots – Isabel Marant. 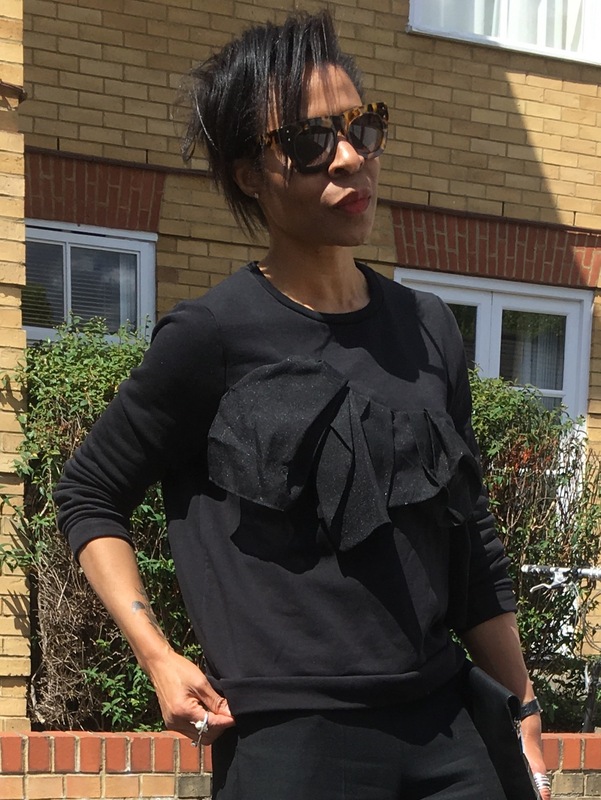 Follow @mystyleartist on Instagram for daily outfit posts! ← Hi-Lo Pick ‘n’ Mix. I like a bit of everything!